I finished my Burda 1-2008-113 dress today. Above, on the dress form. I’ll probably wear it to work on Friday and will take photos then. In the meantime, I thought I could show some photos of the pocket construction. Which for me, was the most intimidating thing going in to this pattern. Overall, it’s a neat design feature. But, you should make sure your dress fits before attempting as it makes it very difficult to make any adjustments after the are sewn. Also, I would interface the openings to keep everything nice and crisp. Finally, I would make the bindings smaller. I found it too chunky for my taste. I think a thinner binding would be more attractive. Mark the seamline on the binding. Mark the binding placement on the front and back of dress. 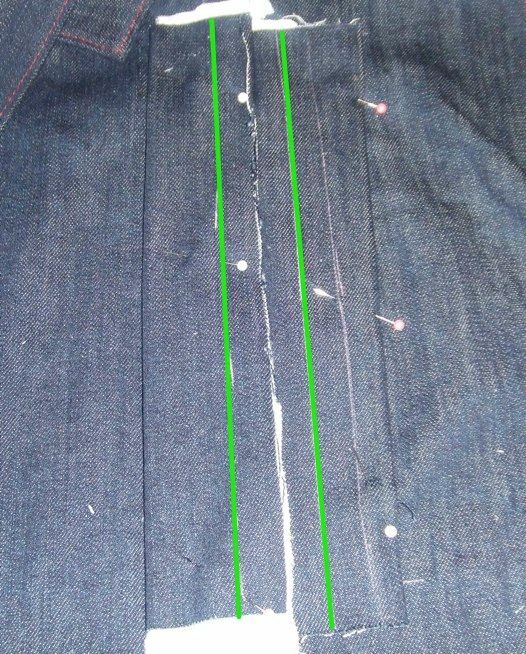 The first round of topstitching secures the short side of the binding. 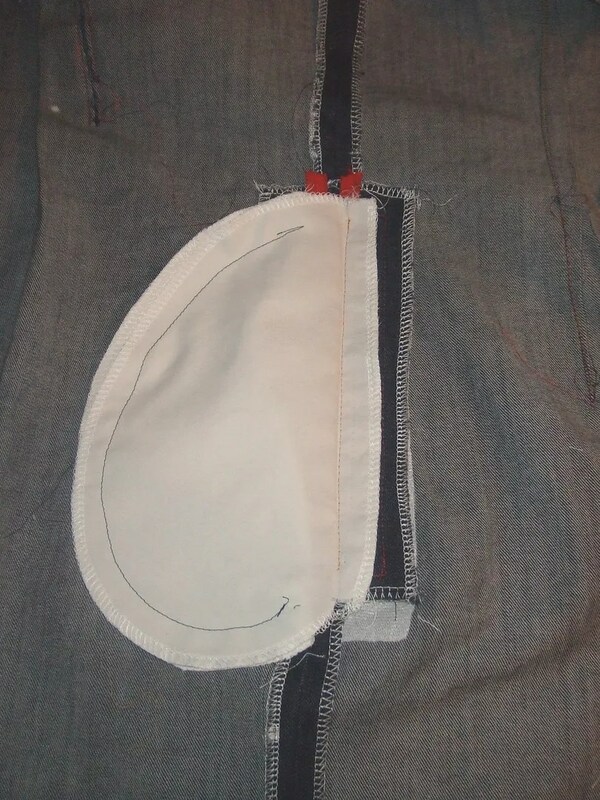 The second round of topstitching secures the pocket bags. It was actually not that hard. I didn’t have to rip any of *this* out. Ok, seriously. I’m going to sew the buttons on to my Poet Blouse. This is gonna be one hot dress!!!! Great work. 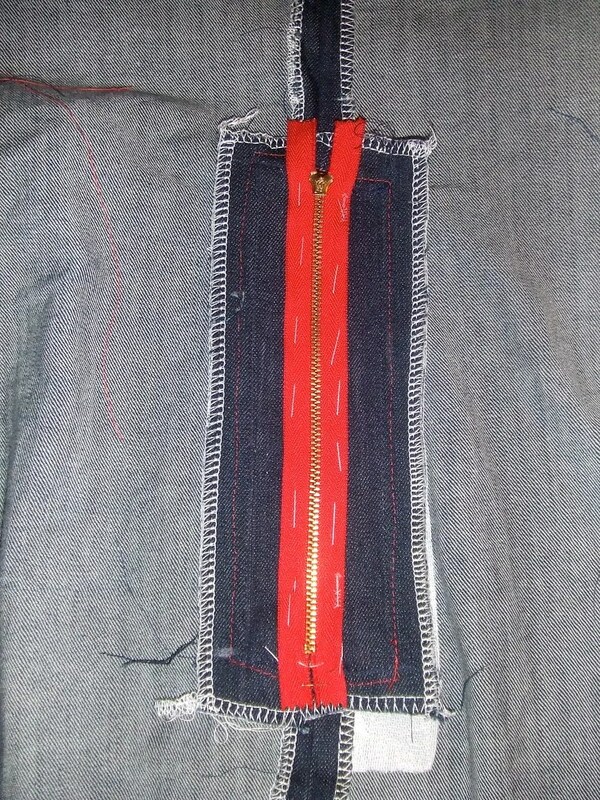 Love the red top stitching and exposed zippers. Can NOT wait to see you in it. 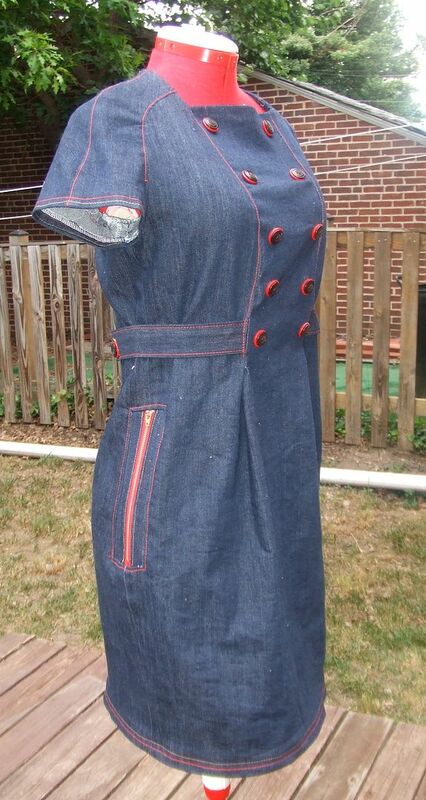 Fantastic dress, the red topstitching is fabulous. I’m glad you were able to rescue this dress. It is very original. Oh I love love the topstitching and the buttons!!! Thanks for the “how-to” on the pocket. Can’t wait for the photos of you modeling it! I love your dress! Excellent job. Looking forward to seeing it on! I love this dress so far, especially the zippers. oh! i love this! those pockets are the coolest. The details is what makes this dress so extraordinary! Love, love, love the red buttons and the red zippers! All that hard work paid off. The dress looks great. Nice job. SUCH an ADORABLE dress. LOVE IT! That dress is absolutely adorable!!!! Oh my gosh, that’s an adorable dress! I LOVE the pockets. Love this dress! Nice job! The pockets are too fun! So much topstitching but it definitely makes the dress pop. This is very you! I’ve been thinking about this dress since I first saw it and never work up the courage to actually make it. 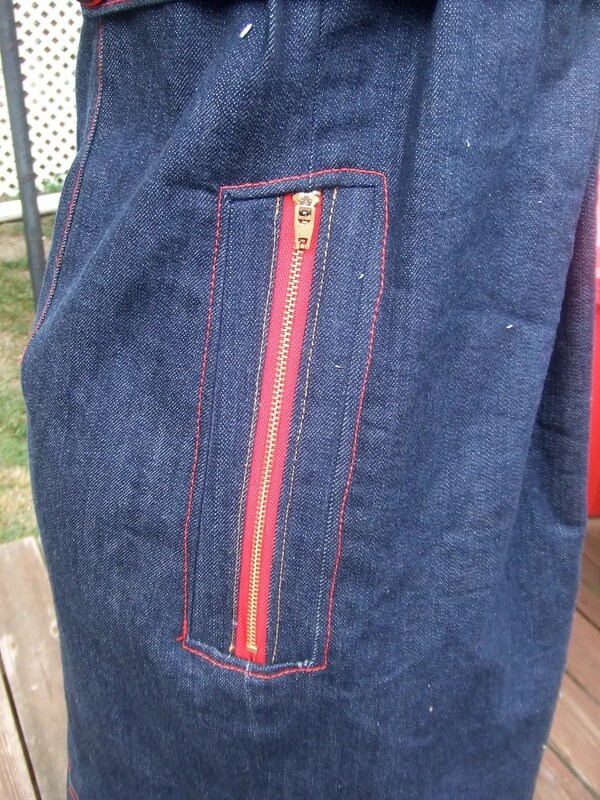 I love the pairing of denim with red stitching. Neat! I love all the red accents on the dress!